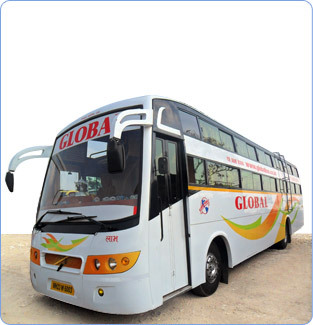 Global Travels Online Bus Booking, Global Travels Bus Tickets. Globaltravels.in act as an integrator of travel industry in India by providing one-stop/end-to-end solutions for your every travel & comfort need. It is one of the pioneer players along Indore route who have served more than million passengers since inception. Regulated and sophisticated services, end-to-end route connectivity along with thrust for innovation in customer/passenger comfort and cost has paved way for becoming "Numero Uno" across passenger community.